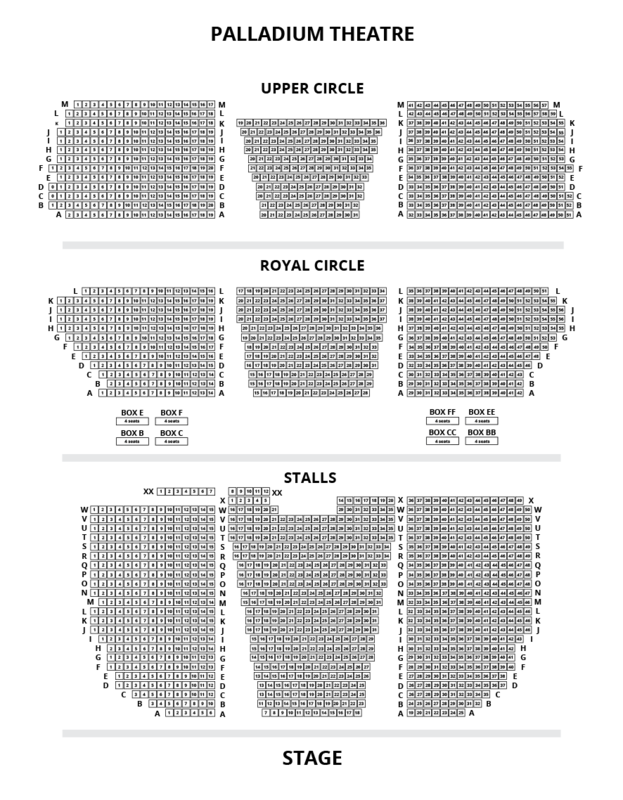 We do not curently have theatre tickets available for Honeymoon in Vegas the Musical in Concert This could be because we have simply sold out or it could be that this show is no longer running. The information on this page remains purely for historical and informational purposes. The 30-strong London Musical Theatre Orchestra and a host of West End stars will take to the London Palladium stage under the baton of its first guest conductor, the show’s composer Jason Robert Brown, to honour the stylish bing-band score of Honeymoon in Vegas which marks another much anticipated UK Premiere for the orchestra. Based on the hit 1992 film starring Sarah Jessica Parker, and Nicholas Cage, Honeymoon in Vegas tells the story of mild-mannered Brooklynite, Jack, who haunted by the fear of a promise to his dying mother never to get married, avoids proposing to his new girlfriend Betsy. He finally summons the nerve and takes Betsy to Las Vegas only to have his plans compromised by a dashing gambler with an eye for luxury and Jack’s new fiancée. 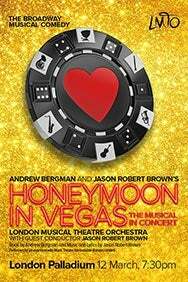 Honeymoon in Vegas  book by Andrew Bergman and score by Tony-Award winning Jason Robert Brown (Parade, Songs For A New World, The Last Five Years and The Bridges of Madison County)  ran on Broadway at the Nederlander Theatre and this concert will see it performed in London for the very first time.